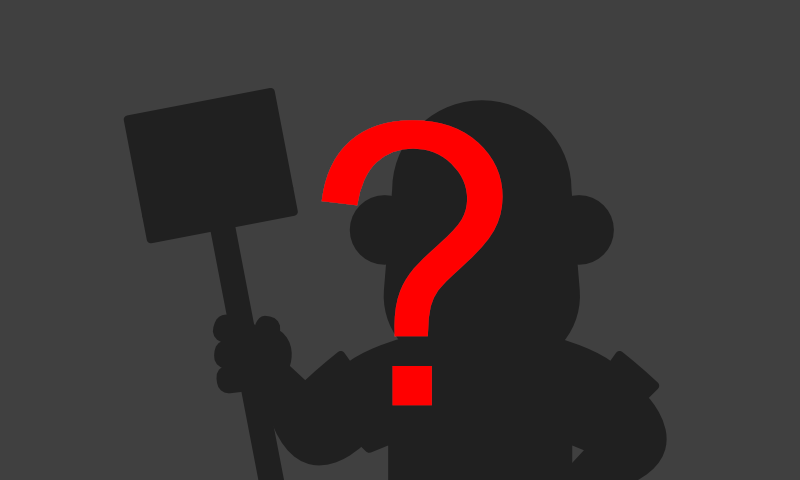 Why do I need a render cleaning service? Modern exterior colour through render finishes such as K-rend, monocouche and many others are today favoured by architects, developers and construction companies. These renders offer a sleek low maintenance and quick to apply finish that gives the building clean lines and surfaces. The use of colour through renders eliminates the need for painting and therefore should reduce the ongoing maintenance costs for building managers. Due to modern building standards which require higher insulation values to be installed in all new builds combined with the increased use of render, we have inadvertently provided the perfect environment for algae, fungus and lichens to flourish. Instead of increasing the maintenance period of a building, we have in fact made it more necessary to clean and maintain the building more often. With the more efficient insulation installed, there is less heat transfer from the buildings interior through the walling to the exterior surface. This combined with the porosity of render, means that the building exterior surface can take longer to dry out, thus providing the perfect environment for molds, fungus and algae to grow. Our render cleaning team uses specialist soft washing equipment, chemicals and softwash techniques to ensure that your home or building is restored in a safe, effective and professional manner. Red staining on walls can leave a building looking unsightly and ill cared for. Our biocide and blackwash treatments work in tandem to ensure a long lasting deep clean. Once the biocide is applied to the surface being treated, it immediately starts to kill any biological contamination present. This will remove all green algae within a day and any red staining will begone with two weeks on average. Should you require a more instant clean, we use our blackwash solution followed by a light coating of biocide. What equipment do you use to softwash? As the name implies, Soft Washing is a gentle way to clean contaminated exterior surfaces. It is not a replacement for pressure washing, more a complimentary technique that is used as per the requirements of the surface and often in tandem with light pressure washing. 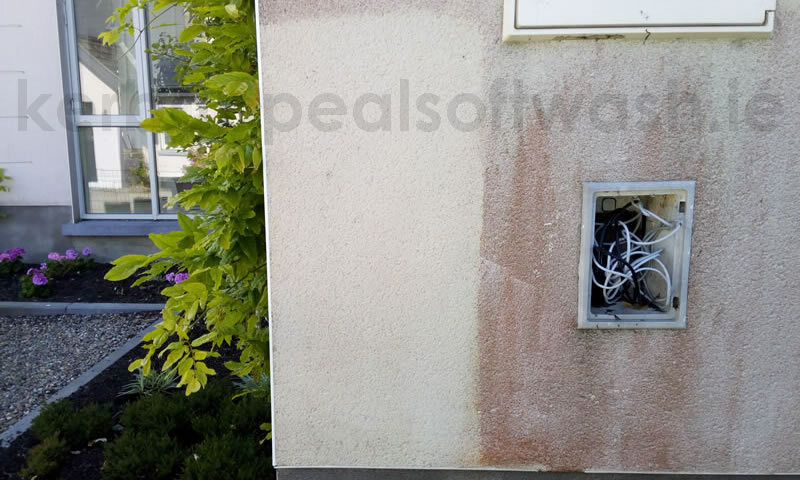 All of our equipment and chemicals are professional grade and designed for our softwash render cleaning service. Our equipment consists of Low Pressure, chemical resistant pumps that are driven by small and economical petrol engines. The pumps apply the chemical solution up to a maximum of 15 Bar (217 psi) of pressure, with the average mains water pressure in Ireland ranging between 1 – 5 bar you can see that our equipment is pretty gentle. The softwash solution is applied to the render through a water fed poles system with either a brush attachment or a spray nozzle on the end, depending on the best application method for the surroundings, weather conditions and the building being cleaned. We tend to favour the brush method as it reduces wind drift of the solution. A pressure washer is used at low pressure to give us an effective high flow rinse of 15 litres per minute. This gives a really good flush clean of all surfaces and clears all the chemical and loose detritus in the process. Would my render benefit from regular maintenance? Render cleaning on a regular schedule would certainly be of benefit to your home or property and help keep it in prime condition for many years. Even new builds should have planned maintenance. Surfaces that are contaminated with algae and lichens take longer to dry out, this allows the biological organisms to flourish and spread over the surface. This holding of water can leave many substrates susceptible to frost damage. We would recommend that most rendered surfaces are treated on an 18 – 24 months cycle as spores will have taken root since the initial clean. Even new builds would benefit from a maintenance treatment within the first 2 – 3 years, this helps prevent any colonisation and avoids the need for a more costly deep clean or the eventual need to paint. A render deep clean or a maintenance treatment for your new build home will restore or maintain your homes Kerb Appeal. Why is my render going red? Modern colour through renders are great in most respects. They add instant colour to a building, give it smooth modern lines and are virtually maintenance free. The term “virtually maintenance free” is where the problem lies with these modern building coatings. I have yet to find a surface finish that will maintain its appearance in our wet but mild climate without some form of care or cleaning. Even the so called “self cleaning glass” fails to keep naturally clean and requires periodic washing with pure water. So back to the question in the title, why is my render going red? Take a walk in to the countryside and you will see on any rock face or man-made wall, colonies of red and green algae, lichens and mosses. These organisms build upon one another in a symbiotic relationship and they find our building exteriors a perfect representation of their natural habitat. Our homes and work places have always had these organisms present to some degree, but older finishes such as brick do not show them easily unlike the pastel shades of render. We have reached a perfect storm with the problem of colonisation by red and green algae making buildings look unsightly and an increased need for render cleaning and maintenance programs. Modern renders such as K-rend, Monochuce and Sto have a textured and somewhat porous surface profile. This allows rain water to remain present on the surface for longer and when combined with improved air quality and increased insulation values being installed in to buildings which prevent heat loss through the walls, this in turn slows down the exterior drying process. Thus the perfect environment for red algae to thrive is created and the unsightly red algae staining that is seen all around the country takes hold. This combined with the miss selling of “maintenance free” means our cities and towns are turning red. 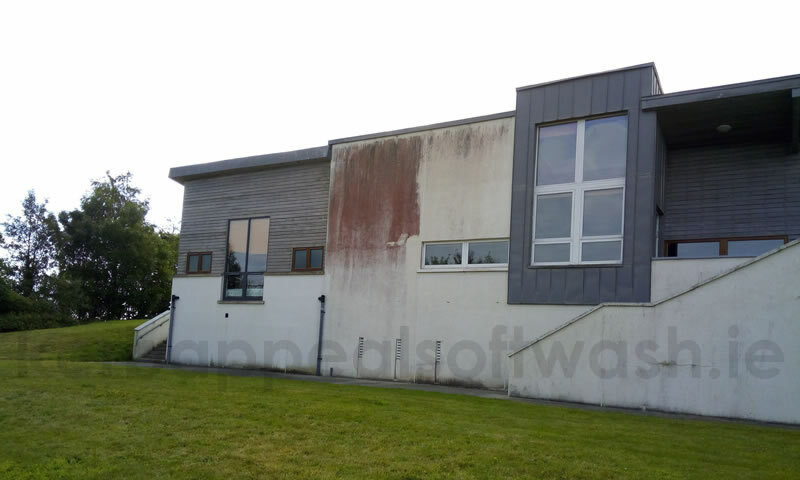 Render cleaning using the low pressure softwash method is the perfect solution to this modern problem, if you would like to know more on how we can clean your render please click the link. Does my render need painting? It is a common misconception that modern colour through renders are maintenance free or need to be painted if they have not been properly maintained. Although you can paint renders such as K-Rend or Monocuche should you wish to change the colour, it is not necessary to do so if it is dirty or colonised by red or green algae. Soft washing was developed to deal with the problem of how to clean these often soft rendered surfaces. Through careful application of the softwash chemical at low pressure great results can be achieved and 9 times out of 10 your render will look brand new. So how do you clean the render? Render cleaning is undertaken using low pressure pumps and specially adapted poles, brushes and spray heads. In many instances the render is first pre-wet before the application of chemical. This helps prevent the chemical evaporating from the surface to quickly, especially on warm sunny days. It also prevents over saturation of the render, the chemical gets where it needs to be in the right amount and concentration. The softwash solution is then sprayed or brushed (brushing helps break the biofilm) on to the surface and the cleaning process begins. 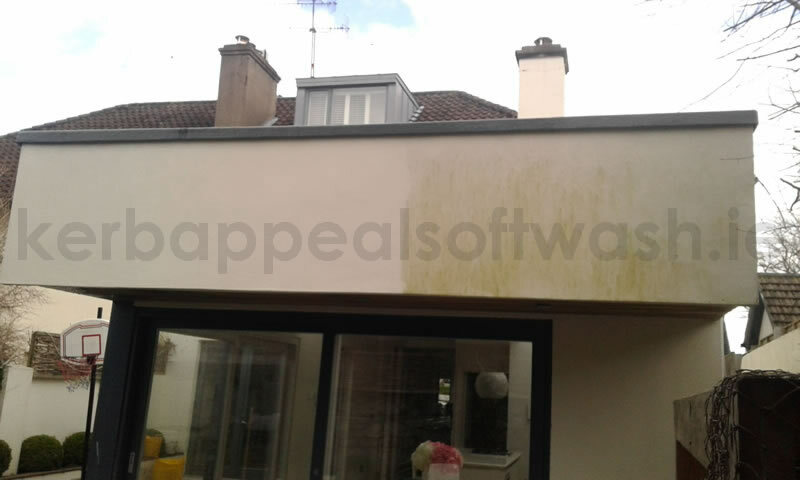 In some instances the wall may only require one application of the softwash chemical, but this is dependant on the level of contamination and the types of biological matter that is present. Once we have achieved the required level of cleanliness, the rendered wall is thouroghly rinsed with fresh water to flush away all contaminant matter and any remaining chemical.The render will now dry and return to its original installation colour, its surface and substrate are now sterilised and will take sometime to re-colonise. Now what? We recommend that your render is treated on a regular 18 -24 month cycle with our specialist biocide treatment. This will prevent the return of the unsightly red and green algae staining and keep your render looking like new. Cobble block driveways and paths fit in well with most gardens and look great when first installed. As time passes they slowly start to be colonised by algae and lichens on the surface, with moss and weeds filling the joints. That once pristine path or driveway no longer looks as neat as it once did, it is time for a power washing service. With the right techniques, equipment and chemicals, any tired looking driveway can be restored. Let me take you through my process of power washing cobble block paving. Step 1, the driveway or paths are cleared of any debris such as leaves, twigs and any other rubbish that might have blown in to the garden. Step 2, if the driveway is nasty and green with plenty of algae contamination I might first pre-treat the surface with a softwash solution to lift and soften up the lichens. This will also help remove much of the algae instantly. If the drive is not in poor condition I’ll skip the pre-treatment and go straight to step 3. Step 3, is where the power washing begins. The condition of the substrate to be cleaned is assessed and the correct level of pressure set on the machine. The edges of the driveway or paths are now washed using a lance fitted with a turbo nozzle. This really helps lift the weeds and old sand from the joints. Step 4, I now use a flat surface cleaner to methodical clean the main body of the cobble block driveway. The flat surface cleaner can clean a strip 18 – 20 inches wide in one single pass. This reduces the fatigue on the operator and helps keep down the mess from splatter. Step 5, the driveway is now swept to gather up all the moss, weeds and sand removed from the joints during the cleaning and is now washed down using the lance again. Step 6, for that extra little zing on a driveway, I like to post treat the blocks once more with the softwash solution and then rinse down after a 20 minute dwell time. This just adds that extra little sparkle to the driveway.